Delete files without them being placed in the trash first. Is there a better alternative to Delete without Trash? Is Delete without Trash really the best app in File Management category? Will Delete without Trash work good on macOS 10.13.4? Delete without Trash ... 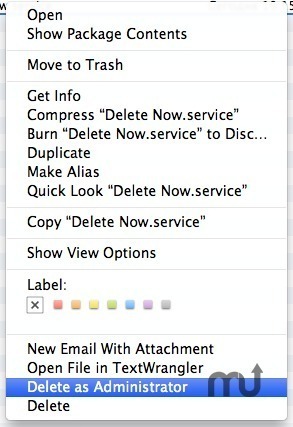 This small application adds a missing feature to OS X - the ability to delete a file or folder without placing it to the Trash first. It adds "Delete" and "Delete as Administrator" menu command to Finder's context menu for a file or folder, and also adds the same commands to Services menu for a file system object. Delete without Trash needs a rating. Be the first to rate this app and get the discussion started!